When is the Income of Daughter-In-Law Liable to be Clubbed with that of her Father-In-Law or Mother- In-Law in case of NRI ? 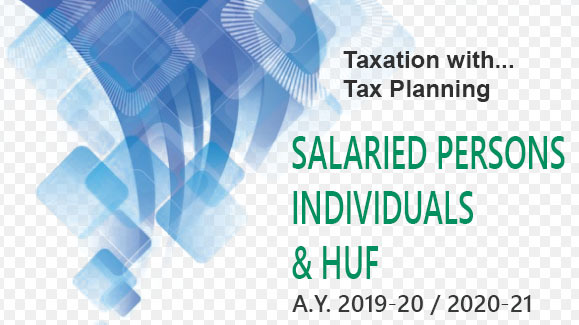 Normally, every major person in India is entitled to have income in his own hands in such a manner that he is liable to pay income tax thereon in his own individual assessment. There is a provision of clubbing of income arising to the daughter-in-law which can sometimes be clubbed with the income of the father-in-law or the mother-in-law. Thus, it is provided in Section 64(1 )(vi) that if the daughter-in-law receives any gift from the father-in-law or mother-in-law, the income arising out of or in relation to such gifts is considered as the income not of the daughter-in-law, but of the father-in-law or the mother-in-law making the gift. Thus, the father-in-law or the mother-in-law should never make any gift to his or her daughter-in-law. Likewise, no gift should be made in favour of any trust for the benefit of the daughter-in-law by the father-in-law or the mother-in-law. Otherwise, under the provisions of Section 64(1)(viii) such income, which is for the immediate or deferred benefit of the son’s wife, would be liable to be clubbed with the income of the father-in-law or the mother-in-law so making the gift. Hence, whenever the father-in-law or the mother-in-law of a non-resident Indian, like any other Indian, wishes to make a gift out of love and affection to their daughter-in-law they should refrain from exercising such love through the medium of gift. The gift may be made by any other relative, like her maternal uncle, paternal uncle, her father, her mother, her brother, or the uncle-in-law or aunt-in-law, grand-father-in- law or grand mother-in-law. In topic 3 above, we have seen that income out of gift made by the husband to the wife and vice versa is liable to be clubbed together. Hence a married woman should not receive any gift from three persons, namely, her husband, her father-in-law, and her mother-in-law, so as to avoid the risk of clubbing of income under the provisions of Section 64(1). It should be carefully noted by a nonresident Indian that he should not make any such gifts to his daughter- in-law even when he is outside India because when such money is brought into India by the daughter-in-law, it is liable to be clubbed with the income of the non-resident Indian when he returns to India. Thus, for the purposes of tax planning by a non-resident Indian, this aspect should be kept in mind so that the non-resident Indian after his return to India is not saddled with the additional burden of paying income tax on the income earned by the daughter-in-law out of gifts made by him in the past. How an NRI can Avoid Clubbing of his Incomes and Wealth with that of his Spouse and Children ! 1. Income From Joint Accounts Or Joint Investments by NRI : Is it Liable To Be Clubbed For Tax Purposes in case of NRI ? 3. When is the income of a Minor Child liable to be Clubbed with that of a Parent in case of NRI ? 4. When is the Income of Daughter-In-Law Liable to be Clubbed with that of her Father-In-Law or Mother- In-Law in case of NRI ? 6. When is the Income Of An HUF From Self-Converted Assets Liable To Be Clubbed In The Members’ Hands in case of NRI ? 7. When is income from Assets Received on Partial Partition of an HUF liable to be Clubbed with the Income of the HUF in case of NRI ? 8. Joint Ownership Of House Property: Does It Make The Income Of A Husband, Wife, And Children Liable To Be Clubbed Together in case of NRI?